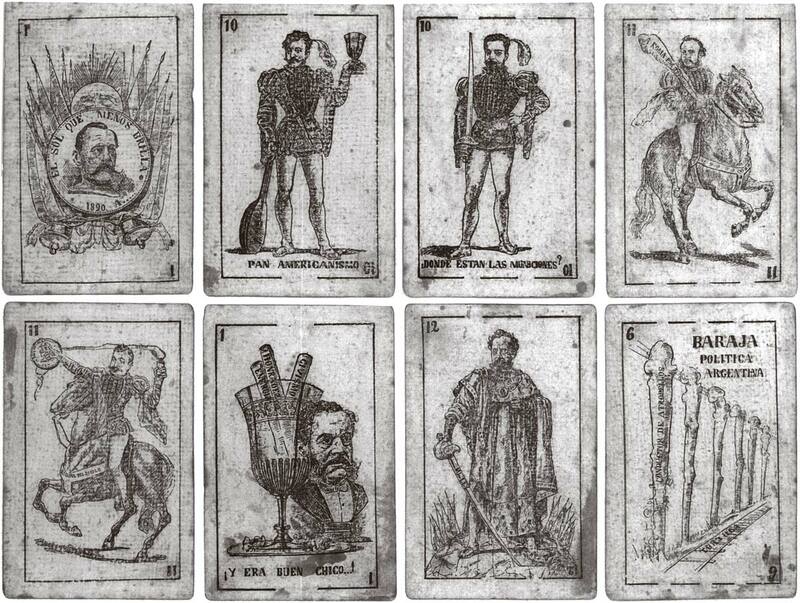 Above: cards from a political pack produced in Buenos Aires in 1890, satirizing political issues of the day. 48 cards, uncoloured, 94 x 61 mms. Images courtesy Enrique García Martín. 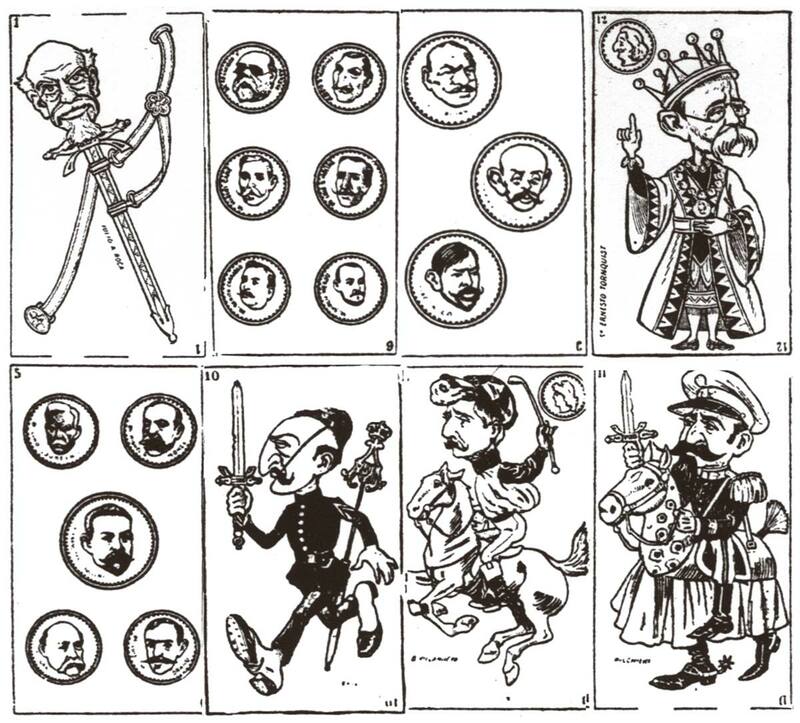 Above: eight cards from a political caricatures pack published by Pérez in 1906, depicting politicians of the day on the court cards and inside the suit symbols. The cards appear in the magazine "Caras y Caretas" No.394, Buenos Aires, 21 April 1906 but unfortunately it is not made clear whether the pack was ever published separately.